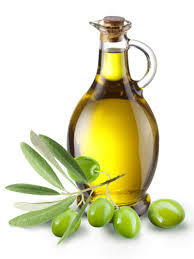 The first mention of olive oil stems from as early as the twenty-fourth century B.C. The Romans introduced elaborate measures to counter-act fraudulent practices in the olive oil trade. Many amphora fragments bear stamped inscriptions or handwritten notes that record information such where the oil was produced, the name of the producer, the weight and quality of the oil when the amphora was sealed, and the name of the merchant who imported it, the name of the imperial functionary who confirmed this information when the amphora was reopened at its destination in Rome, and so on. Fast-forward a couple of thousand years and the EU is trying to out-do the Romans (by now everyone must be familiar with the Commission's proposal to ban re-fillable containers of olive oil and the subsequent u-turn). Aside from the self-evidently farcical nature of the proposal, this story does have a couple of broader points about the way the EU works. Firstly, there is the way in which decisions are reached - the so-called comitolgy procedure (see here for a more detailed discussion of this issue). In this case, the proposal was an "implementing regulation" which means no participation from either national parliaments or MEPs, instead the Commission proposal was only considered by a committee of specialists. Incredibly, the Commission does not even to get a majority to back its proposals - its enough that a majority does not oppose them. Secondly, it shows the huge influence the farming lobby is still able to exert on Brussels (its worth noting the original proposal only encouraged a ban - it did not mandate it). The reaction of Copa-Cogeca, a farming association including large-scale olive oil producers who would have benefited from the ban threw its toys out the pram, with the general secretary Pekka Pesonen claiming that "It is totally unacceptable that the Commission has done a complete U-turn and has succumbed to political pressure like this." A lobbying outfit complaining about 'political pressure'? Could be the new definition of irony. What's more, we note that the Commission did at least succeed in one of its objectives. According to an official "The criticism was universal and came from consumers and restaurant owners in all EU countries". So finally a united Europe! At the same time though, the Commission's climb down shows that a rethink of silly ideas and proposals in Brussels is possible. The Commission could've stuck to its guns and ignored the complaints - after all, there were some actors in favour of this (farming lobby, some member states etc.) - but reason was allowed to prevail. One of the issues with EU policy is that it too often suffers from a public choice problem - the benefit of a measure driven by rent-seeking is concentrated on a small, well organised group (the farming lobby in this case) but the costs are spread out over a much larger, but poorly organised group (consumers in this case). The Commission's welcome U-turn on this ban shows that this public choice dilemma can be broken, if the second group can get its act together. Hedgehog flavour crisps, straight bananas, financial services and now olive oil. What next? I have spent the last 5 minutes laughing at this which just goes to show that the EU is now completely lacking in CREDIBILITY. How low do things have to go before this gigantic monster keels over and dies? The EU has become the laughing stock of the world and it does the UK no favours to be seen to be going along with this. "How low do things have to go before this gigantic monster keels over and dies?" The point is that we have very highly paid elected representatives who are supposed to exercise wise governance. Instead, we are subjected to combinations of ideology, economic illiteracy, cave - ins to special interest lobbies, and plain stupidity, which sensible people on a tenth the pay would put a stop to. Its simply not worth the expense. It would be nice if someone were to investigate this further. It would be enlightening to follow this particular regulation from idea inception until the proposed regulation. However, I suspect that EU transparency isn't sufficient so an external investigation might not be possible. If this was a good idea then a strong leader would have pushed it through so therefore we now know that the commission will not do what it considers to be right, it will do what is seen to be popular. Almost the definition of populist. If the idea was bad, and in my opinion it was, then the commission could have stated that their u-turn came about as they found the idea was bad. Accountability and solidarity takes on whole new meanings in Brussels. And the chocolate ration was just increased by 20 grams. Open Europe is a Eurofascist joke. A scrap of "red meat" that Cameron can come home with proclaiming "victory over a chastened European Commission"! expect more of these worthless "feel-good stories" as the EU Referendum approaches! 1975 "déjà vu all over again . The second group in this case is as you describe "...a much larger, but poorly organised group (consumers in this case)". This means that Stupid Ideas still get to such an advanced stage before they realise how stupid a proposal it is. Again, we just see the EU for what it is really used for, dodgy deals with complete disregard for the real world. The debacle is another example of how poorly managed the EU actually is. Did the regulation almost happen due to some 'rogue' EUrocrats overstepping their mandated limits? Did the regulation almost happen and some 'rogue' EUrocrats acted within their mandated limits? How senior position is needed to be able to get regulation affecting hundreds of millions of citizens life into effect? Did the responsible commissioner back the proposed regulation? Is there even a commissioner who is responsible for the proposed regulation? The point of unelected technocrats is that they do what is right without considering public opinion so what is the point of EUrocrats? If nobody is responsible for the debacle, can we then just once and for all agree that EUrocrats are in fact not accountable? It is not good news, it is sad beyond belief that this is what the EU finds to do. When will this stupidity finally cross the brain of some of the advocates of even more of this. It's pathetic. With apologies, it is comforting to know that legislative buffoons are not exclusive to the United States. Once upon a time, information moved at the speed of a horse, and so representatives were a necessity. As this is no longer true, we should come up with something better.